The Institute of Medicine report “The Future of Nursing: Leading Change, Advancing Health,” released in October of 2010, has served as a guide for how nursing can positively influence health care reform. As a result, the Nurses On Boards Coalition and The Future of Nursing: Campaign for Action were formed with a goal of improving the health of communities and the nation through the service of nurses on boards. All boards benefit from the unique perspective of nurses and their leadership skills. Nurses, by taking on a more active role in our complex health system, help make it more efficient and effective on a local, state and national level. At the same time, they also help improve the overall health of the nation. The Oregon Action Coalition is actively engaged in pursuing these goals through Oregon’s Nurses on Boards Initiative. To learn more and follow the campaign go to http://nursesonboardscoalition.org/.  If you are currently serving on a board in Oregon, please sign up to make your board service count toward our national goal of 10,000 nurses on boards by 2020.